What do customers think about Face DNA Testing? I love how DNA Face Matching technology allows you to specifically see the angles of a person face that match and the angles that don’t. I don’t like the fact that you can’t use the results in court, but their pictures and I guess we have to be realistic. I like how it breaks down the percentage of everything from facial pattern, eyebrow pattern, eye pattern, nose pattern cheek pattern, chin pattern, lip pattern, even skin complexion. Face DNA Testing has its share of critics. 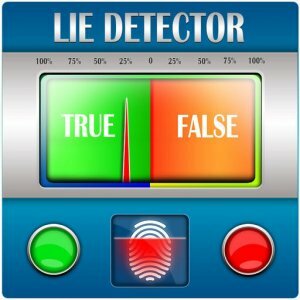 Similar to lie detector testing, facial DNA testing is not 100% accurate. Although its affordable and yields swift results, studies show there are times when results from photo testing are incorrect. Several things like cosmetic surgery, age of the person in the photo, lighting and other factors can lead to inconstant results. Critics say that’s why photo testing can’t be used in the court of law. An actual DNA blood draw or mouth swab is a more constant way to obtain results without a doubt. Consult your physician for medical advice related to genetic studies and DNA testing. Our staff is also available to assist with questions regarding Face DNA Testing. Do you think Face DNA Testing could work?